This Cranberry Almond Rice Pilaf recipe is an easy side dish that is perfect for the holidays! You can make it ahead and re-heat in the oven. Canadian Thanksgiving totally snuck up on me this year! I may have missed sharing this easy cranberry almond rice pilaf recipe for Canadian Thanksgiving, but it’s still totally great for American Thanksgiving and the holidays which will be upon us before we know it! Like my favorite Instant Pot Wild Rice Pilaf with Mushrooms and Pine Nuts, this cranberry almond rice pilaf is so much more than just ‘rice’…it’s loaded with delicious goodies that add so much flavor and texture. It’s great for a Sunday dinner, and is showy enough for a special occasion like Thanksgiving or Christmas. Wondering ‘what is rice pilaf’? Let me fill you in on a little secret: rice pilaf is just rice, sauteed with some garlic and onions, and cooked in broth. Yep, it’s rice, just a little ‘fancier’, and with so much more flavor than basic rice! PS- check out my secrets for perfect, fluffy rice here! Sautee shallots and garlic in butter. 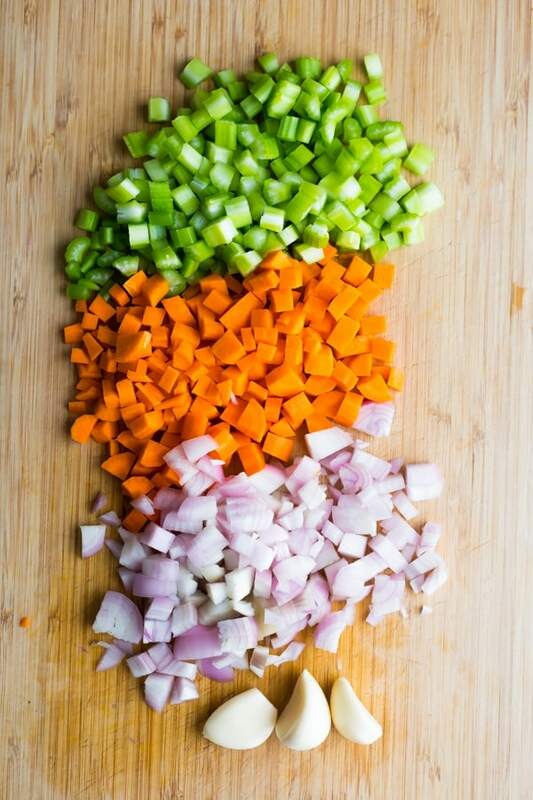 Add your veggies, broth and fresh thyme. Cover and cook like you normally would. For the brown & wild rice blend I used, I cooked 45 minutes, then let it sit for 10 minutes before fluffing with a fork. Can I make this rice pilaf recipe in the rice cooker? You could, but I highly recommend taking the extra step of sautéing the garlic and shallot in the butter, which is just easier in a pot. 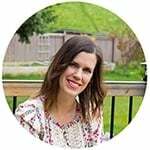 Can I make this rice pilaf recipe in the Instant Pot? Unfortunately I found that the celery and carrot were completely disintegrated when cooking this rice pilaf recipe in the Instant Pot. If this doesn’t bother you, go for it! Reduce the liquid: rice ratio to 1:1 and cook using the directions in this post. Can I swap the brown & wild rice blend for another type of rice? Absolutely! I’d recommend a long grain white or brown rice. Adjust the cooking liquid and cook time according to what the package says. 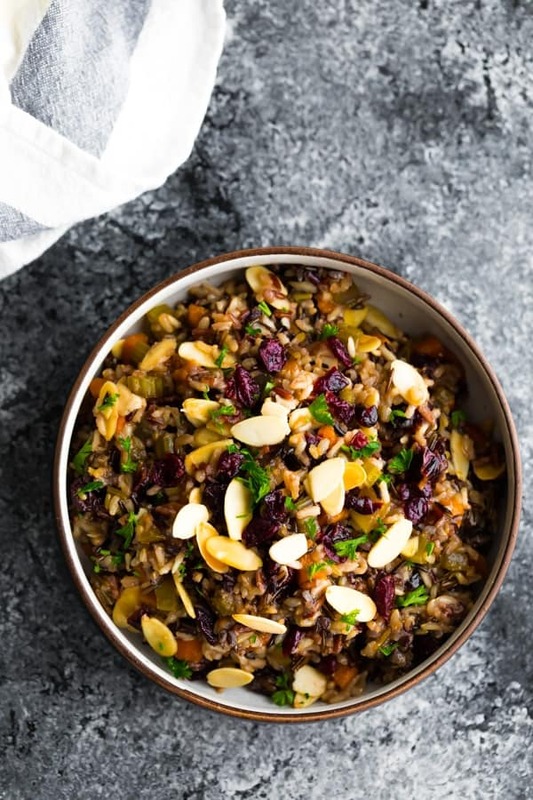 Can I make this cranberry almond wild rice pilaf ahead of time? YES! 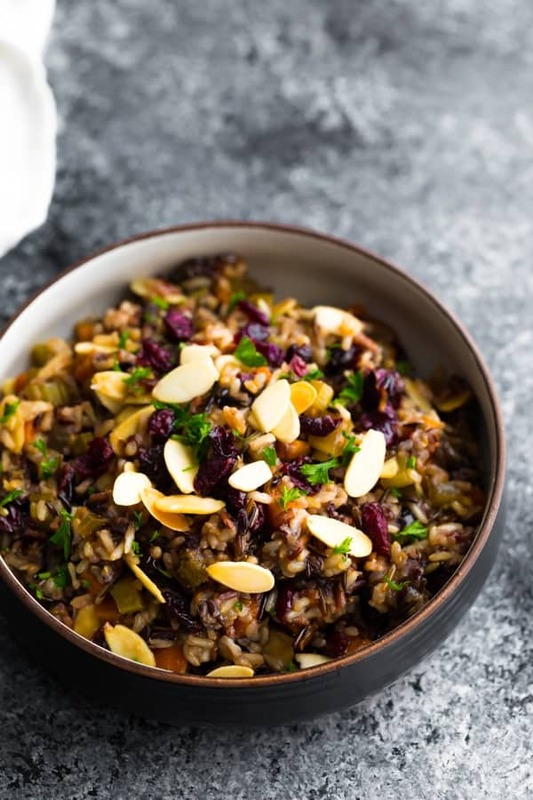 I know how crazy things can get when you’re preparing a full Thanksgiving meal, which is why I love that you can make this cranberry almond wild rice pilaf ahead of time, and reheat before serving! I suggest piling everything into a casserole dish, covering, and re-heating in the oven on 350°F. Add the pine nuts and parsley fresh! And don’t forget to check out these 7 Easy Rice Recipes! Melt butter in a large 4 quart pot. Add the shallots and cook for 5 minutes, until softened. Add the rice and cook for 5-8 minutes, stirring frequently, until lightly golden and toasted. Add carrots, celery, stock, salt and thyme sprigs. Stir, cover and cook for 45 minutes (or according to the package directions). Allow to sit (covered) for another 10 minutes, before adding the sliced almonds, cranberries and parsley to garnish. Stir in the almonds and parsley just before serving. 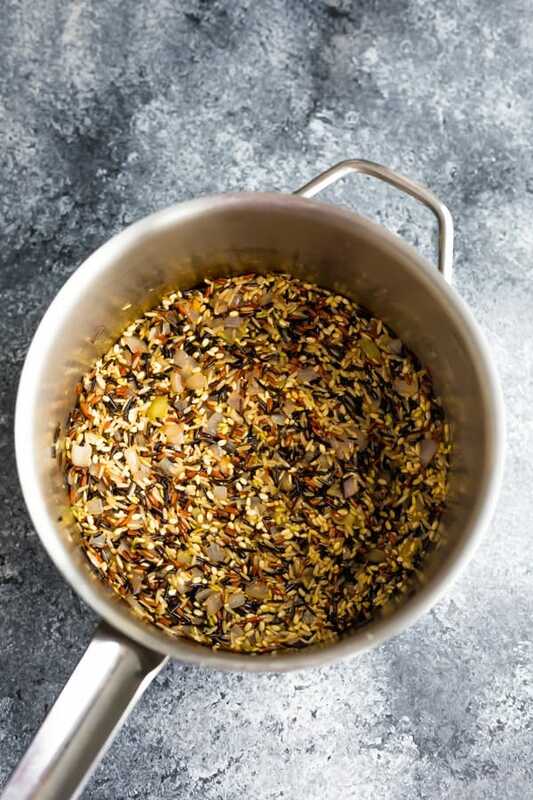 * you can swap the type of rice for any long grain white or brown rice, but make sure to adjust the amount of stock and the cook time according to the package.